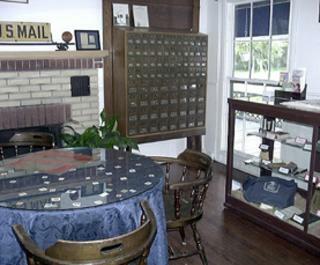 A walk inside a recreated Post Office from the 1940's reveals various artifacts, paperwork, books, forms, and clothing used over fifty years ago. postmarks. 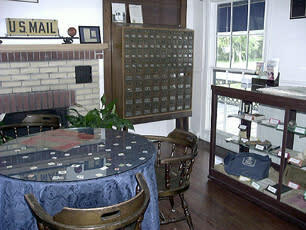 Explore the 80-foot hallway lined with over 100 shadow boxes full of postal memorabilia and hundreds of envelops categorized with such topics as slogans, Army/Navy, and many more.